FSBOs go on the market believing they don't need you... but they do! However, they typically have a great deal of built-in resistance to real estate agents. Master the real estate lead generation art of getting a FSBO to want to work with you, based on the value you provide. Included: audio recording; data file with all the necessary forms. This little-known technique, once mastered, can be the key to generating substantial "now" money in your business. Discover the power of your local MLS as a lead generation system. There's nothing as exciting as a group of like-minded individuals! People naturally gravitate to - and enjoy doing business with - people they "click" with. Find out how to maximize relationships to build business in a fun (and profitable) way! There's not an industry out there where "generalists" make more money than "specialists" and real estate is no different! Yet many agents are afraid to specialize, for fear they will "lose" business. Put those fears aside and choose niche marketing as your real estate lead generation strategy. We'll cover a number of different niche markets, and provide an overview of the many possibilities that exist. If you're wasting countless hours at open houses just hoping a potential client might wander in, you need a new strategy. 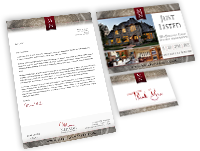 Learn how to effectively market your open houses, and boost attendance. We'll also cover a powerful open house tool that allows you to position yourself as an expert and a resource, not a pushy salesperson. If you want to specialize in first-time homebuyers, then start generating leads in the rental market. Many agents ignore the untapped potential of this huge segment of our housing market. We'll show you why you'll want to work with renters, where to find them, and how to get them to contact you. Included: audio recording; data file with all necessary forms. This small, but powerful, segment of the real estate lead generation market can yield big results. Learn the skills that relocation managers are looking for in their agent partners, and discover what information is important to relocating buyers and sellers.